Hello Sweetheart from Riley Blake Designs is here and it’ll have your heart swooning! We love the darling retro feel and it has us gearing up for Valentine’s. It’s such a sweet collection full of bright colors and playful prints. The Gradient Heart is black was such a great choice for my oldest. It’s got a modern edge to it that was so well suited for one of our favorite dress patterns. I love the clean lines of the Blake Dress from Mingo and Grace (you can see our other versions here, here, and here). Those big box pleats and hidden inseam pockets are the stuff that makes me giddy! Can you even stand those ombre hearts?!! The colors are just so fun! Speaking of litttle sis- she got a Samantha Skirt from Made for Mermaids paired with an Ocotillo Leotard from Honeydew Kisses with handmade suspenders. This floral print is just too cute! It reminds me so much of some of my favorite art when I was growing up. Definitely brings me back to the early 90’s with fond memories! Paired with Riley Blake black and white striped knit gives it a fun, contemporary twist. This combo is just so adorable! She loves anything with pockets and thanked me profusely the minute she tried on this skirt. Both patterns were new to me and I really liked them both. The Samantha skirt pattern uses the same fabric for suspenders but I left them off this version. It features an elastic back waistband so hopefully she’ll get to wear this awhile too. I had to do some grading for the leo using a size 8 width and a 10 length. It worked out really well and both girls have requested more (a sure sign of a great pattern!). We picked the warmest day we could for pics and it was a balmy 40 degrees when we did our shoot. The sodas were both props and bribes for these two troopers! The things these girls put up with for their dear old mum! Thanks for joining us today on our stop on the Hello Sweetheart Blog Tour. Riley Blake provided us the fabric to sew up but all thoughts and opinions are my own. It’s my stop on the Riley Blake Jubilee Blog Tour today! This fabric collection is absolutely darling and I’m excited to be sharing it will you guys. I always let my girls help pick fabric for their makes but they struggled this time because they seriously wanted them all. You know my oldest will always pick red if given the choice and she was crushing on the main prints in this line bad. I was surprised when she settled on the navy colorway but secretly thrilled to be adding a little different color to her wardrobe. My younger daughter looks darling in blues and loved the dainty print of this ditzy floral. Together they coordinate but aren’t too matchy for these sisters. If I could pick my favorite color combinations of the moment these would be it. I love navy, yellow, seafoam, and pink together. They are perfect colors for fall but also work really well for this weird warm transition season we’re in too. The floral prints work so well with this season too. The hint of summer brights and warm fall colors make these fabrics something I think they’ll wear year-round. Let’s talk about these dresses. My oldest daughter is quickly sizing out of many of our favorite patterns. I’m grateful for companies like Violette Fields Threads and Hey June Handmade who are now branching into tween pattern size lines. This is the Zoey Dress from Violette Fields Threads. My daughter still isn’t quite in a 10 width but she’s at least a 12 or 14 height so I struggle choosing between the tween and child patterns. In this case, the extra ease in the bodice works with this style and the tween sizing looks great on her. I love the boho-feel of this pattern and think it’s perfect for this print. The cute puff sleeve, elastic cuff and bias bound neckline are pretty features that add to the free spirit look of this dress. Little sister got a Sutton Dress from Made for Mermaids. I wanted something that had a similar vibe as her sister’s and the Sutton was a great choice. I wanted this print to really shine but knew it needed a little trim and buttons to make it pop. I absolutely adore those sleeves! Such a sweet touch. I did modify this pattern to use a gathered rectangle skirt (the width of the fabric) instead of the gathered circle skirt the pattern calls for. This was not really a style choice as it was a lack of fabric choice (that’s what I get for changing my plan for this fabric at the last minute!). Make sure to check out your favorite local fabric shops to grab your own Jubilee fabrics. They’ll brighten your days just as they’ve done ours! 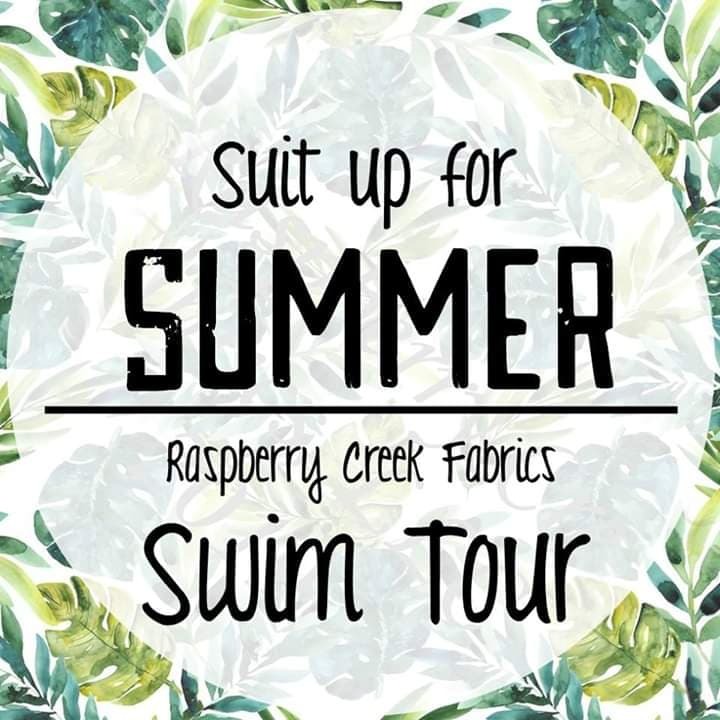 I’ve been sewing swimsuits for my kiddos this summer and I’m finally sharing one for ME! Let’s be honest though, I’d much rather be posting pics of my kids than of me, especially in swimwear, yikes! This swimsuit has been in my head since last summer and I’m so excited to have it done, it just has to be shared with the world! The Mama Camila suit is one of my favorites (I also have a healthy obsession with the girls version as well). I wore last year’s Camila so much throughout the year that I knew another one would be a welcome addition. When I snagged this lemon print from CaliFabrics last year I knew I selfishly wanted it for myself. I loved it so much when it arrived that I had to order more just in case my girls needed a suit or two too. I love that CaliFabrics gets designer ends so their selection is always great quality. For better or worse, their selection is constantly changing so check back often and make sure to grab your favorite prints before they disappear. Let’s talk about this pattern. I love how incredibly versatile it is. The main bodice is a simple one piece with elastic ruching through the tummy area. There are options to sew the flounce like this or over the arms. I like to do the off shoulder view because you can still slip it off your shoulders and wear it like this easily. You can do shoulder ties, a halter tie, or skip the ties altogether. This is my first time doing the double ties and I love them! If you choose to skip the ties the top of the suit feels super secure with the elastic. When I’m chasing kiddos at the pool, I tend to tuck the ruffle under my arms. It’s a little more freeing, lol! I like to add all the inner options to my suits. This one has foam cups, a shelf bra, power mesh and a full lining. The pattern walks you through adding everything to get a suit that’s flattering and supportive. I love being able to make something that makes me feel as comfortable as possible strutting around the pool. 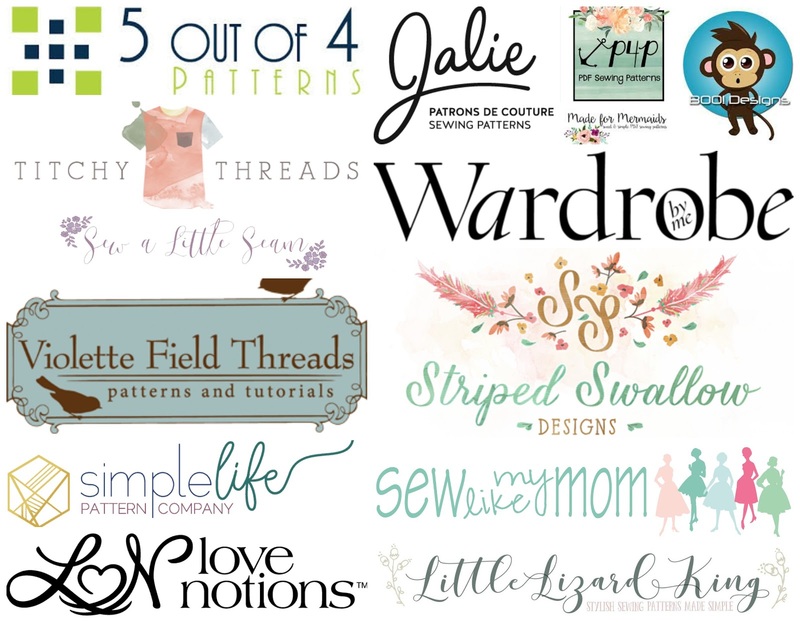 Are you new to sewing swim? Looking for swim tips? I’m over on the CaliFabrics Blog too sharing some of the things I’ve learned throughout the years. Swimsuits are so much fun to sew and I look forward to sewing a new batch each season. This Camila is at the top of my list of favorites for sure!